Olaf Morgan Norlie (January 11, 1876 – June 22, 1962), also referred to as O. M. Norlie, was a Lutheran minister, educator and scholar. He was additionally a Lutheran church historian, librarian, editor and statistician. He was also a prolific author who is most remembered as the translator of the Simplified New Testament. Norlie was born to Norwegian immigrant parents in Sioux City, Iowa. His father had emigrated from Fåberg, in Oppland county, Norway in 1866. He went on to graduate from St. Olaf College in 1898, completed his master's degree at the University of Wisconsin in 1901, then earned his doctorate at the University of Minnesota in 1908. His dissertation was titled The Principles of Expressive Reading, a Study of the Human Voice. He also attended the Norwegian Lutheran United Church Seminary. He served for eight years as a pastor in the United Norwegian Lutheran Church of America in Minnesota for 8 years. Then he went into teaching, first teaching Greek and psychology at Luther College in Decorah, Iowa. He then went on to serve as Dean and professor of Religion at Hartwick College and Seminary. He went on to serve as librarian at St. Olaf College until his retirement. The library at St. Olaf has archival materials from his life and a large collection of his writings. Norlie served as a member of the publishing committee for the Augsburg Publishing House in Minneapolis and for 20 years he was editor of the Lutheran World Almanac. He was a member of the American Philological Association and a poet. Due to his interest in statistics, in 1932 he was elected as a member of the American Mathematical Society. In addition to the books he wrote by himself, he was also editor and/or translator for a number of other volumes. Norlie wrote dozens of articles, both religious and secular. For example, a list of his writings for 1935 alone includes over 30 articles and scholarly book reviews, many in the Norwegian language. 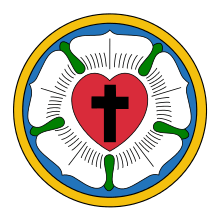 For Norske lutherske menigheter i Amerika, Norlie and his staff collected information concerning thousands of Lutheran congregations and ministries throughout the United States and Canada, includes sections on each synod. ↑ "Olaf Morgan Norlie (1876-1962)". Locating Lutheranism. Retrieved November 12, 2015. ↑ Øyvind T. Gulliksen. "O M Norlie -Teolog, Skolemann, Publisist". Norsk biografisk leksikon. Retrieved November 12, 2015. ↑ "Norske lutherske menigheter i Amerika". Luther College archive. Retrieved November 12, 2015. ↑ "Olaf Norlie's Simplified New Testament". International Society of Bible Collectors. Retrieved November 12, 2015. Hamre, James S. 1985. Three Spokesmen for Norwegian Lutheran Academies: Schools for Church, Heritage, Society. (Norwegian-American Studies, Volume 30: 221-246). Hamre, James S. 1985. The views of Herman Amberg Preus (1825-1894), D. G. Ristad (1863-1938), and Olaf M. Norlie (1876-1962). (Norwegian-American Studies, Volume 31).